Winter never looked so cool in these sweet hats for children! My mother always said, "Don't forget your hat". "Ah, Mom," I would whine. Well, we have come a long way baby, with these adorable hats for kids! What child would not want to wear these super cute finds? I wish I was a kid again so I could wear them myself. These unique designs are full of eco friendly fabrics and even fun pattern pdf's for the crafy mom. 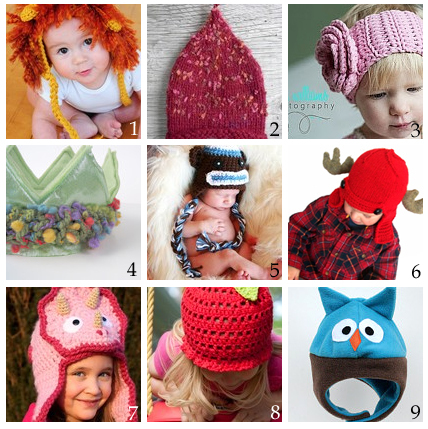 So, encourage your children, and keep them warm and woolly this season, with these cool hats for kids. These are so adorable. For some reason, I really have a trinket for baby hats. They're tiny and really cute.